WHAT'S NEW IN COSMETIC SURGERY? Introducing a new break through technique for sculpting your arms. The arms, until recently, are a difficult region of the body to sculpt. It required major surgery, long recovery and large unsightly scars. With the introduction of Vaser® LIPO to our practice, sculpting and defining your arms is easier and more affordable. Vaser ® LIPO uses low range ultrasound to tighten loose arm skin and shrink excess fatty deposits. Redefine your arms with the new technique recently introduced at Cleveland Cosmetic Surgery. 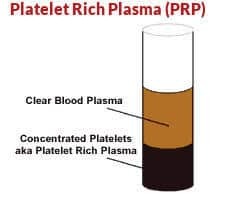 PRP is a unique formulation created from the patient's own blood, which is processed to increase the concentration of growth factors, vital for healing. PRP is a new application in the cosmetic realm. However, it is a popular treatment for orthopedic injuries in professional athletes. PRP is rich in growth factors, which stimulate stem cells. Stem cells in turn stimulate the growth of collagen to help the body heal and regenerate more quickly. Dr. Diamantis introduced PRP to ensure his patients heal safely without complications. Other appealing cosmetic indications include: 1. skin rejuvenation, 2. hair growth, 3. face tightening (vampire lift). Introducing our official new cosmetic line of make-up. Colorescience® is specifically manufactured for our cosmetic patients in mind. The make-up incorporates the strongest UV-A and UV-B protection while nourishing your skin with natural minerals and oils. 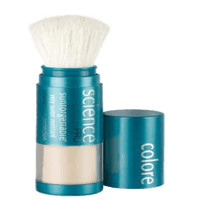 Colorescience® covers, protects and nourishes while leaving your skin looking flawless. Colorescience® is specially formulated, water based make-up for conscientious patients. It is only available through a Doctor’s office. Introducing an innovative laser for the rejuvenation of the hands and neck. Historically, the neck and hands are the most difficult regions of the body to refresh. For the first time, we have a safe medical breakthrough to rejuvenate your hands and neck. The new laser 360 smooths and tightens the skin, while reducing brown and red blemishes. This broad spectrum laser delivers impressive results with no down time. Finally, there is no reason to hide your hands and neck, ask Dr. Diamantis if you are a candidate for hand and neck rejuvenation with Harmony 360®. is the first and only FDA - approve injectable treatment to improve the appearance of moderate to severe fat beneath the chin, also known as," double chin", by physically destroying fat cells. As you age, it's not just about lines and wrinkles. Your cheeks lose volume and the skin may sag. Voluma® XC is the first HA filler FDA approved to treat age related volume loss in the cheek area. It's the newest nonsurgical filler to help restore a more youthful appearance for up to three years. Voluma® helps you look up to five years younger. is the first non-invasive body contouring procedure to effectively remove excess fat without the negative side effects associated with surgical methods. Zerona® utilizes the same cold laser technology developed by Erchonia®, which has been shown to emulsify fat. The cold laser technology behind the Zerona® procedure was shown to exclusively release the cellular contents of fat cells while leaving the capillaries and other cells within the interstitial space intact. The release of the fat cell contents is the result of the disruption of the cell’s membrane. This membrane disruption, called a transitory pore, is the result of low-level laser stimulation. Through a double blind, randomized, multi-site and placebo-controlled study, the Zerona® procedure is proven to be an effective non-invasive and body contouring procedure. On average, clients lost on average 3.64 inches from the circumference of their waist, hip and thighs, whereas the placebo group only lost an average of a half of an inch..
fat-reduction procedure is specially designed for those who have unwanted fat in targeted areas. Unlike weight-loss surgery (e.g., gastric bypass), the CoolSculpting® procedure is not a weight-loss solution for people who are obese. Good candidates for the CoolSculpting® procedure have noticeable bulges in certain areas they’d like to get rid of. Many people want a non-surgical alternative to liposuction. Dr. Diamantis will help you create an individualized treatment plan tailored to your specific goals. The length of your CoolSculpting® treatment will vary depending on the number of areas being treated during one visit. The latest technology of CoolSculpting® can treat a patient in 35-60 minutes, some patients have more than one treatment during the same office visit. laser body contouring is a minimally invasive, laser-assisted lipolysis procedure that targets trouble spots like the abdomen, arms, buttocks, thighs, and neck, and permanently eliminates fat. So if your problem areas won’t respond to exercise and diet, Smartlipo® provides dramatic improvements with greater results, minimal downtime, and less pain than traditional liposuction. Smartlipo® uses local anesthesia to numb only a specific area of the body being treated so you’re awake during the procedure. The liquefied fat is gently suctioned out. Because Smartlipo® actually tightens the skin through coagulation, you don’t have to worry about dimpling and sagging skin. is a non-invasive radiofrequency therapy that can address the look and feel of aging skin on many areas of your body. Thermage® treatments are customized to your needs, and typically require minimal recovery time. It’s a great solution if you want your skin to look sleeker, smoother and younger, but can’t afford a lot of time away from work or your social life.